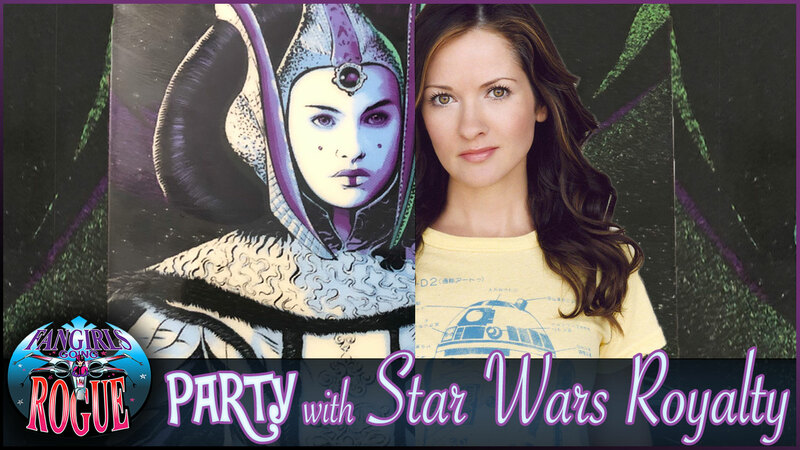 Fangirls Going Rogue welcomes Cat Taber, Padmé Amidala in The Clone Wars. She shares the experience of narrating the new book Queen’s Shadow by E.K. Johnson. This is one of the biggest and best character discussions we have ever had! And if having one member of Star Wars royalty wasn’t enough, artists Joe Corroney and Brian Miller join the show to talk about the art they will be bringing to Celebration Chicago. Celebration Chicago is under a month away. Fangirls Going Rogue will be on the Podcast Stage, Saturday at 5 PM! Will we see you there too?